Akwa United’s poor start to the season sees them occupying the bottom of the log, but forward Babangida Hassan believes his side will bounce back as top contenders as the season goes by. 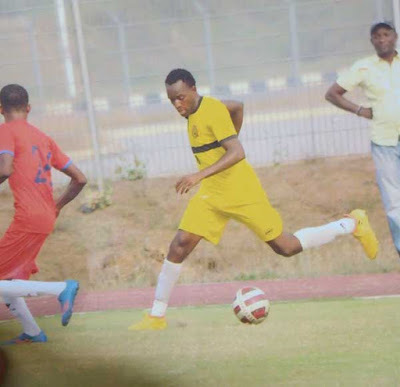 The former Giwa and Heartland front man told naijaleague.com.ng that lack of luck is responsible for his side unfortunate outing in the past weeks. “We are just having a bad time, but it won’t last” an optimistic Babangida stated. “We play very well and do all we need to do, but the results don’t just go our way. I believe we will finish tops because we have a coach who is experienced and can handle pressure we are facing”, he assured naijaleague.com.ng Katsina United hosts the Promise Keepers and this provides Abdul Maikaba’s lad another opportunity to express their resilience. Akwa United have yet to win a game in their last four Nigeria Professional Football League games league games.